Dot Durable Veltex Carpet Snaps are ideal for any application in which carpeting is not permanently set in place. Unlike permanent adhesives or hook-and-loop attachments that break down with repeated use, Veltex Carpet Snaps withstand tough punishment yet continue to function snap after snap regardless of environmental conditions. Veltex Carpet Snaps have a host of advantages including easy carpet installation and removal. Additionally, the prong ring disappears into the nap of the carpet resulting in a more attractive and more professional looking installation. 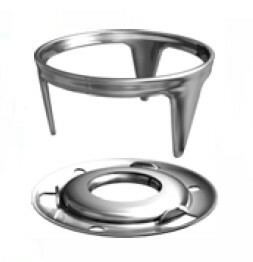 The Open Top Snap Cap is designed to make positioning snaps in marine applications, such as mooring covers, easier and more accurate. Installed in the shop, the Snap Cap is designed with a hole which makes it fool-proof to mark the locations or make a pilot hole using a drill bit. Veltex Carpet Snaps are sold with both Socket and Prong. Male studs are sold separately.